@ahoeben Ok thanks, I'll take a look. Yes, a better text with a working link to the configuration folder is a lot better. 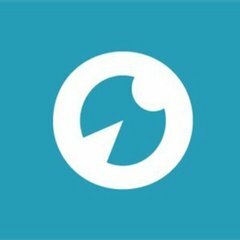 But, if Cura already crashed/failed to use the old configuration...what will happen when the user starts putting back that same "bad" configuration? I think there should be an explanation somewhere, either in the folder itself or in the user manual, explaining how to do it to find out which configuration is 'bad'. 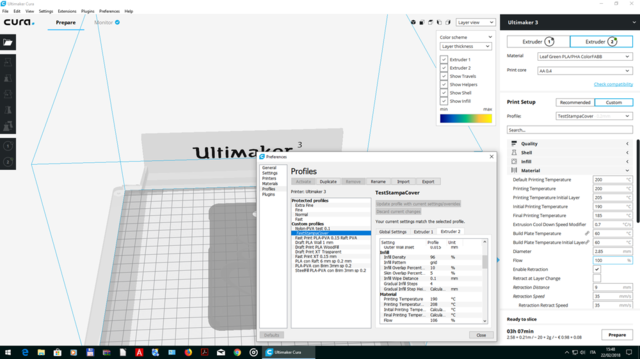 Put one file at a time and restart Cura until it bugs/crashes which will show which configuration file is bad. Or something like that. Else the user will be stuck in an endless cycle. I think there should be an explanation somewhere, either in the folder itself or in the user manual, explaining how to do it to find out which configuration is 'bad'. If it were easy to explain, it would be easy to fix programmatically. The problem is that lots of these files are interdependent. So restoring one of the files is going to do more harm then good, even if the file by itself has not errors in it. I will readily admit my mostly complete lack of knowledge about computer programming. But I understanding than restoring the files one by one if their interdependent isn't a good idea at all. I have absolutely no idea of the work that this would involve though, just an idea I just had that I'm throwing out. This did the job. I will now go test some "stuff" and see how it all works. I did two prints with the Beta 3.2.0 and an odd thing happened at the end of both: the printer nozzle was pressing down on the build for a couple of seconds before retracting, grinding the filament in the process, leaving the print with a nozzle-impression and some spaghetti on the top. I was using the adaptive layers function in both cases. 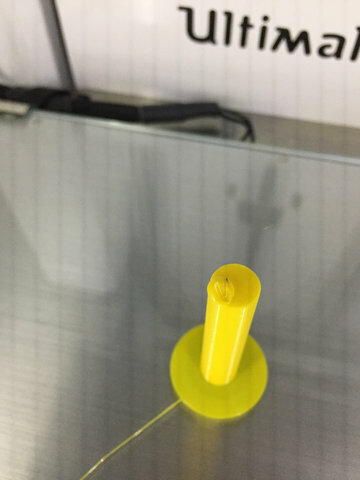 Now I did a print of a small pole that will be used for a puzzle game, and upon finishing the print the printer again pushed the nozzle down into the print, leaving a print mark on the top and making funny noises from the extruder. This never happened with Cura 3.1. Anyone else experience this? Or better yet, anyone know a solution to this strange behavior? The picture shows the finished peg with the nozzle impression on top of what should be a smooth last layer. Incidentally, I wasn't using the adaptive layer function this time. Printed on my Ultimaker 2+. I now went back to 3.1 until this problem is sorted. If I can help in any way to solve this, I'd be glad to. Downgrading to 3.1 solved your issue? I never experienced this issue with 3.1, so I guess it would. I just finished printing several boxes for game pieces, using Cura 3.2.1, I didn't have that problem. I'm on Win10. The printer puts on the top layer and then, before retracting and parking the print head, it does this weird action. The extruder shredders the filament in this process, btw. 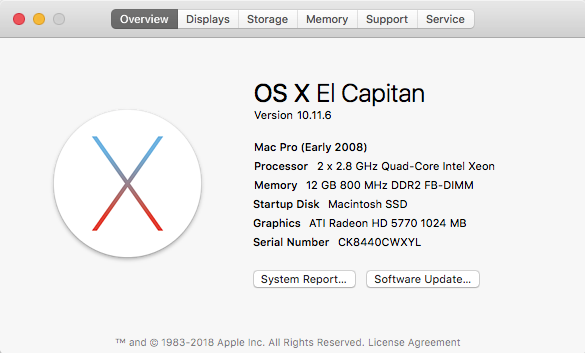 I also uploaded my mac specs and the printer file in question. Version 3.2.1 on win x64. What are the parameters that the printer actually uses? Or i don't understand something? I noted also different name parameters between the two windows (procedure) and also the two windows and cfg files . Is it possible standardize the parameters names? 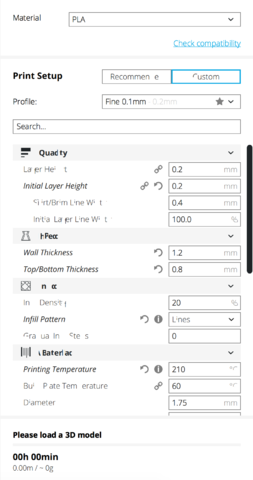 Suggestion (again): adaptive layer is good as idea if an user can establish range of layers with an user fixed height: for instance layer 23 to 34 height 0.15,and so on..... I think not so difficult to implement. Must be an issue with 3.2. 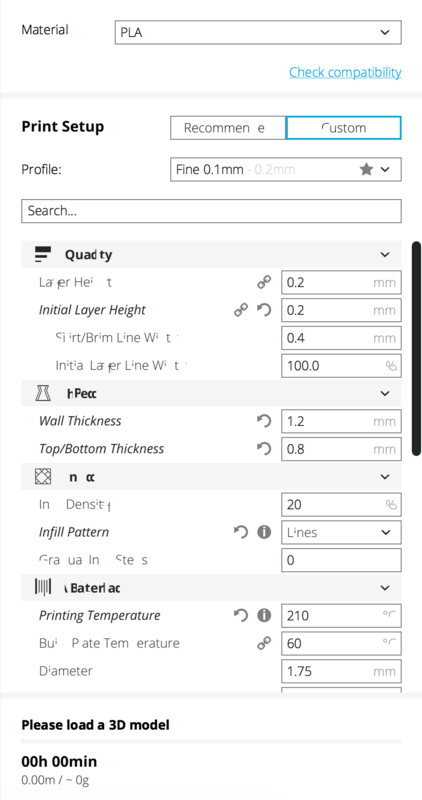 Hi, I looked at the dowel2.gcode and cannot see at the end anything that would press down on the part. I also do not see anything to move the nozzle from the part. Could you please post the gcode created by 3.1 so they can be compared. I am interested to see what is different at the very end of the print. I think there could be some stuff missing from the 3.2 gocde? Could you please post the gcode created by 3.1 so they can be compared. Thank you for looking into it. Here's the part sliced with 3.1. I'm not sure I have all the settings 100% identical to the version created with 3.2, but it mostly should be. BTW, after carefully watching what happens at the end of the 3.2 print, I don't think that the nozzle presses down in this sense. It looks more like the nozzle stays on top of the print and the printer extrudes a blob of plastic on top of it, resulting in the nozzle clogging and the extruder grinding. After that, the print head homes. I have just installed Cura 3.2.1 and am reprinting small component designs I prepared in Fusion 360, that were printed flawlessly by my UM 2+. Is this a bug? Does anyone else have this problem? would like to know how to fix. This is a recent bug and there are many questions about this. Did you update your printers firmware recently? Because the firmware that comes with cura 3.2 has this exact bug. Also mac or pc? Someone seems to think this is a mac only issue but more likely it's the firmware. Is this a bug? Does anyone else have this problem? Yes, see posts above Welcome to the club. I don't think it's the firmware since it only happens with prints sliced with Cura 3.2 and not with 3.1 on my printer with the same firmware (_2.6.2).